New Delhi: In what could trigger a trademark battle, the Reliance-Anil Dhirubhai Ambani Group (R-Adag) has applied in India to register a trademark on ‘I PHONE’—a brand name that sounds exactly like Apple Inc.’s popular mobile phone. A trademark is a word or mark that indicates ownership of a product or service and is legally reserved for use bythe owner. Reliance Communications Ltd, or RCom, a mobile phone services business chaired by Anil Ambani, has applied for the trademark under several registration categories. According to India’s trademarks office’s website, RCom had filed its applications on 27 March 2007—coincidentally a month after Cisco Systems Inc., the world’s biggest maker of computer networking equipment, and the original owner of the iPhone name, settled a case with Apple over the use of the brand. Cisco had registered the name in 2000 and had sued Apple for using the brand name in January 2007. Generally, it takes months to more than a year for the Indian trademark office to go through the applications and open it up for public scrutiny. The RCom trademark application was made public in mid-September and published on the website of India’s Controller General of Patents, Design and Trademark on 9 October. This comes barely weeks after the launch of the Apple iPhone models in India in association with two top mobile service providers, Bharti Airtel Ltd and Vodafone Essar Ltd, in late August. Though a rage globally—more than 11 million of different iPhone models have been sold—iPhone has not found many takers in India with prices going up to Rs36,100 despite high-decibel advertising. RCom’s application under class 41 of Indian trademark registrations, sought it under “education, providing of training, entertainment, sports and cultural activities" and class 16 under categories including paper, cardboard and goods made from these, book-binding materials, photographs, stationery, artistic materials, paint brushes and playing cards, among others. Apple spells its brand ‘iPhone’ while RCom proposes to use a capital ‘I’ and has a character-wide gap between ‘I’ and ‘PHONE’. The second word is spelt in capital letters in the class 41 filing. The application for class 16 is ‘i phone’—all in lower case. In addition to class 41 and 16, RCom has also applied to trademark ‘Reliance i phone’ in class 38 that deals in “telecommunication services" as well as under class 9 that concerns “manufacturing and trading in apparatus for recording, transmission or reproduction of sound or images; magnetic data carriers including but not limited" to fixed wireless phones and terminals. “Filing for trademark registration under different nomenclature is a routine organizational practice to ensure brand-name flexibility on future product road-maps of our company," an RCom spokesperson said by email. A legal expert said RCom’s attempt could run into roadblocks since the iPhone name is strongly associated with Apple’s product. “If I mention ‘I phone’, it should be associated with Reliance...that’s the kind of evidence they require" to be able to secure a trademark, said New Delhi-based trademark attorney Neil Mason. 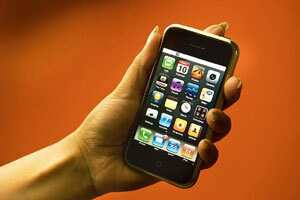 It is unclear whether Apple has applied or registered the iPhone trademark in India. An Apple spokeswoman in Singapore said she has no comment to offer “at this point". Any objections to the RCom application has to be made within three-four months, trademark lawyers say. “The fact that Reliance has applied for two (separate applications) possibly means that they have been advised that: ‘Look Reliance I phone at the strength of Reliance will go through’," said Mason. R-Adag is also locked in a trademark dispute where a group firm applied to register “Reliance Big Bazar". It was opposed by the country’s largest publicly traded retailer, Pantaloon Retail (India) Ltd, that owns a chain of popular supermarkets branded Big Bazaar. Trademark lawyers say it generally takes about two years to resolve a trademark dispute in India. Meanwhile, the opposing party could move it to a court for a stay or injunction on trademark misuse. R. Jai Krishna contributed to this story.